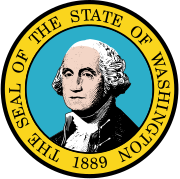 The 1980 United States Senate election in Washington was held on November 4, 1980. Longtime incumbent Democratic U.S. Senator Warren Magnuson, the Senate President pro tempore, lost re-election to State Attorney General Slade Gorton, a Republican. As of 2019, this is the last time the Republicans won the Class 3 Senate seat in Washington. This Washington elections-related article is a stub. You can help Wikipedia by expanding it.